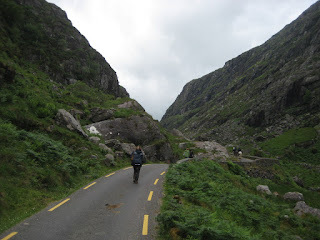 Today my friends were off to the wonderful Gap of Dunloe, as our mild and dry weather continued. The Gap of Dunloe tour, which i supply for my clients, is, firstly, a journey on the horse drawn jaunting cars up the winding Gap road to the top of the mountain, and then down the other side to the lakes of Killarney. 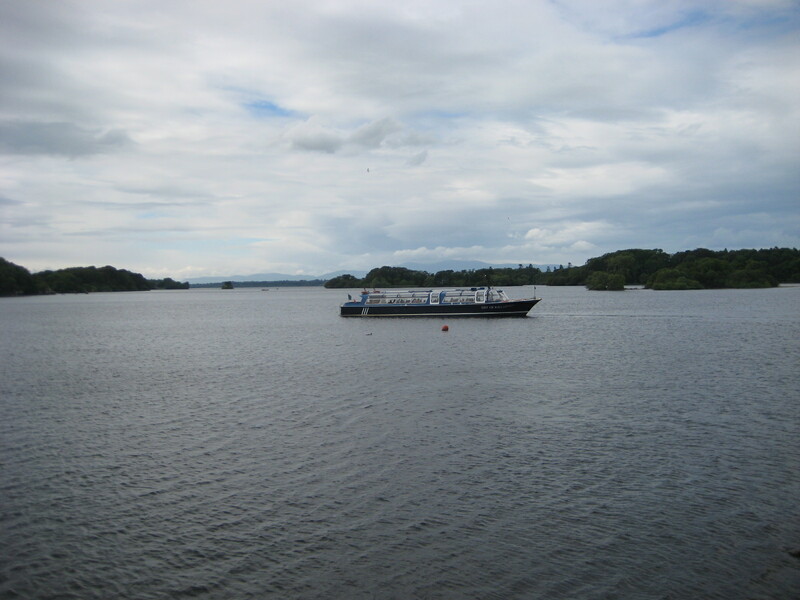 Then there is a snack break at Lord Brandon's cottage, before boarding the small boats, which then take you down through the lakes of Killarney, and back to the magnificent Ross castle on the shores of Lough Laune, where your tour ends. This is a once in a lifetime experience, and a very special one. A view of the road, on the way to the top at the Gap. 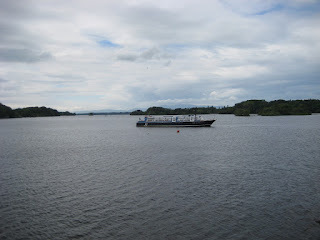 One of the boats, making its way down through the lakes. Nearing the end of this awesome journey. Jim and Ilene, arriving at the pier at the end of their journey. Ilene and Jim, furthest to the right, smiling up at me, as i snap this picture. 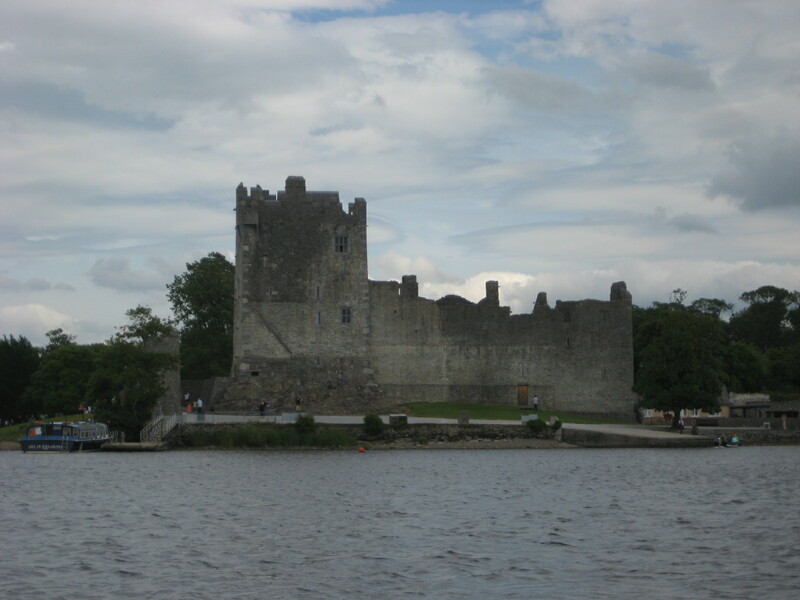 And now, finally ashore, and on dry land once again, with the beautiful Ross castle in the background. Bet you would like to experience this tour, and why not? I am already taking tours for next year, but there is still time this year, if you have the time. No harm in enquiring. Drop me a line, and maybe we can do something for you.